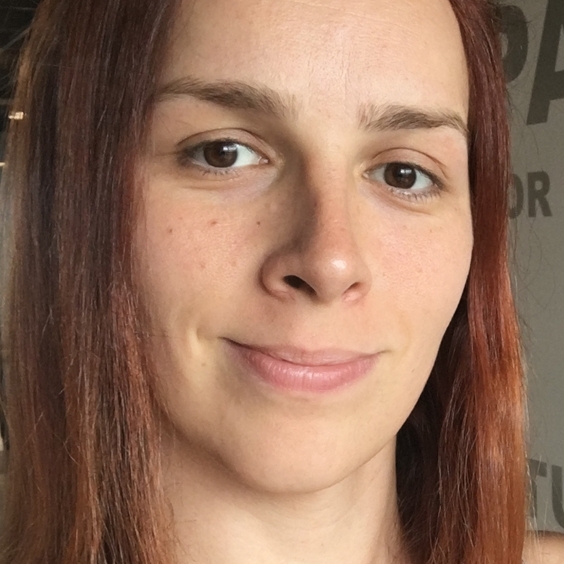 Three years ago, software developer Daniela Petruzalek took the leap to transition to her true female self. One of the first things she had to get over were her own internalized prejudices. Not only that, she was back to competing in the male-dominated world of tech, but now--as a woman. She immediately noticed the double standards rooted in gender bias. Now Daniela uses this knowledge to fight for diversity and inclusion in the tech world. Learn what trans women can teach cis women—and vice versa—in our conversation. "I am powerful by just living" - Sarah McBride, author of "Tomorrow Will Be Different"
In 2016, Sarah McBride made history--and a childhood dream come true when she stood on the stage at the the Democratic National Convention as the first transgender person to speak at a national political convention. As of 2018, more than half of LGBTQ people live in states that don’t protect them from discrimination or are even actively hostile towards them. Some states have enacted laws that allow businesses, healthcare providers and government officials to actually deny services to LGBTQ people. In the most challenging moments--the 2016 election results, everyday sexism and misogyny and the death of her young husband-- even then she fights to update our laws to protect and include LGBTQ people.